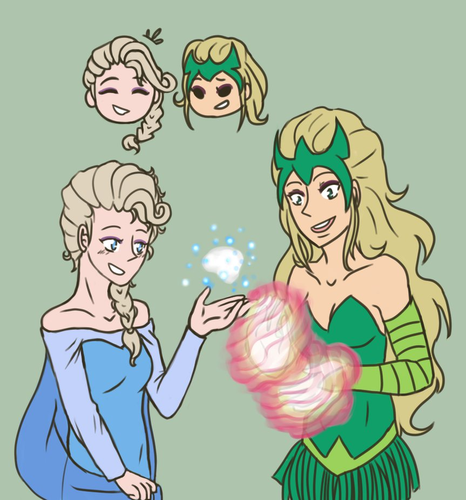 Elsa meets Enchantress. Never would of have imagined these two as being good friends. 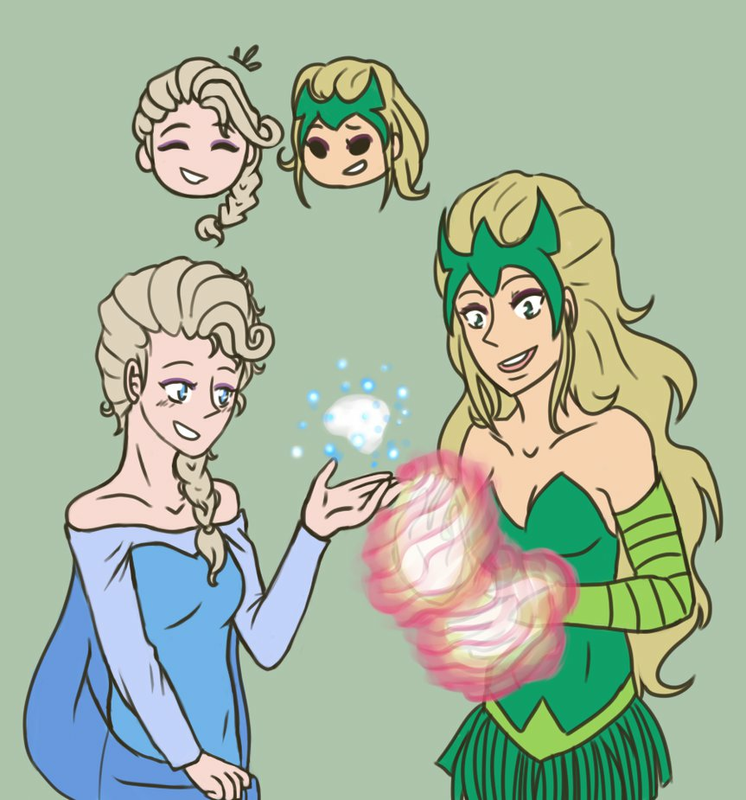 Wait a minute...something's not right here....is this Enchantress a nice clone of the normally evil Enchantress..... HD Wallpaper and background images in the disney crossover club tagged: photo disney crossover marvel.